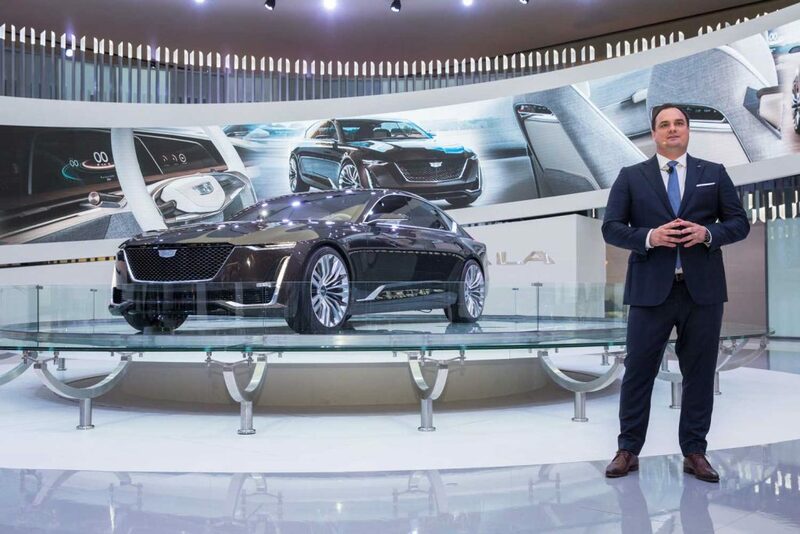 Making its first appearance in the Middle East, the Escala Concept car formed the centerpiece of the Cadillac stand at this year’s Dubai International Motor Show (14-18 November) as visitors received a tantalizing glimpse at the future direction of the brand. 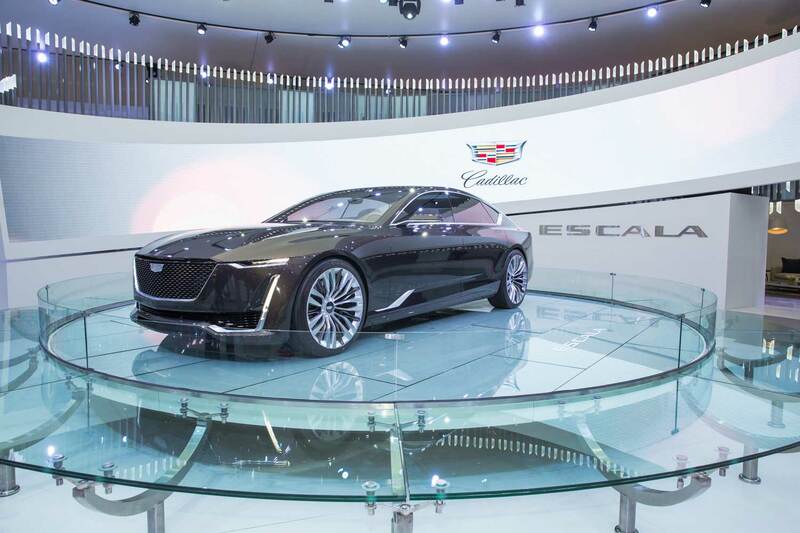 The future is certainly bright for Cadillac, with the Escala amplifying its new design DNA and the brand currently introducing industry-leading technologies such as Super Cruise. But the show also provided an opportunity to view new models that are set to entice today’s buyers: the redesigned XTS sedan enjoyed its regional launch, alongside 2018 versions of favorites like the Escalade, CT6 and XT5. Designed to be both a driver’s car and an indulgent flagship sedan, Cadillac’s Escala showcases future design and technical systems, including a prototype 4.2-liter twin-turbo V-8 engine, and is a concept for a more expressive, expansive companion to the current range-topper, the CT6. The large 4-door sedan features an expansive lift-back design, and at 5347mm is 163mm longer than the CT6. The new face of Cadillac design will begin appearing on production models soon and includes a new expression of Cadillac’s signature vertical lighting – thin, deep-set organic light emitting diode (OLED) elements give it a sinister look. This is complemented by a three-dimensional precision pattern in the grille design and 22-inch wheels with two layers of spokes. Three very thin, curved OLED screens feature prominently in the front, consolidating the traditional “cluster” of driving gauges into one integrated unit. Like all Cadillac models today, the interior is assembled using hand cut-and-sewn techniques, but is further inspired by suiting material used by Cadillac’s fashion industry partners. The Escala Concept also offers an insight into the user experience in development for future models, with new designs for connectivity and control. Speaking about Cadillac’s display at DIMS, Andrew Lipman, Cadillac’s Global Communications Director, said: “We wanted to demonstrate our commitment to our customers and fans in the Middle East, and what better way than by revealing a concept car that lays the blueprint for the future of the brand. “Starting with the launch of the first ever XT4 in 2018, we will bring a new Cadillac to market every six months, a total of five vehicle lines in the space of just two years. And these models will feature some of the most advanced technology in the automotive industry,” he added. Super Cruise is a prime example of these advancements. With the ability to take control at any time, it offers the first true hands-free driving experience. Super Cruise takes control in situations like more mundane highway commuting, while in all other conditions the driver can take the wheel to enjoy the vehicle’s exhilarating performance. lights and taillamps, fenders, front and rear fascias and grille. An improved chassis provides even greater ride comfort, while enhanced technology delivers a next-generation Cadillac user experience, a dynamic platform that can be adjusted over time to meet a customer’s evolving connectivity needs. With functionality similar to smartphones, the new user experience system provides customers with easier access to the most common features. The more intuitive operation includes a Summary View in which all key applications – climate, audio, phone and navigation – are displayed on one screen. Two other 2018 models to benefit from Cadillac’s new styling and design were also shown off at the show: the CT6 and XT5. Rounding off the display were the 2018 models of the brand’s flagship large SUV – Escalade, and the ATS-V and CTS-V models from Cadillac’s acclaimed high-performance V-Series. e. Hi-tech features include Enhanced Night Vision, Advanced Park Assist and Rear Camera Mirror – an industry first application of full-display technology, combining camera technology with the conventional inside mirror to project an unobstructed view in the mirror. The XT5 combines spacious luxury and high-tech convenience features to create the perfect crossover. A lightweight construction elevates efficiency and driving performance while the all-new design and structure increases interior space without adding bulk. The 2018 XT5 is powered by a 3.6-liter V6 engine and advanced all-wheel drive, as well as advanced features such as a rear camera mirror, Apple Carplay & Android auto compatibility, and front- and rear-seat USB capabilities. Visitors were also able to experience the brand’s flagship model, the 2018 Escalade, which features a new 10-speed automatic transmission and bold new interior and exterior color options. The Escalade has long defined spacious premium driving with its modern design, powerful capabilities and sumptuous amenities that keep luxury firmly in the driver’s seat. Combining luxury and power in one machine, the Cadillac CTS-V sedan is powered by a supercharged 6.2L V-8 engine, that delivers 640 hp (477 kW), 630 lb-ft of torque (855 Nm) and is mated to a paddle-shift eight-speed automatic transmission. For 2o18, it introduces Apple Watch integration, two additional USB ports in the rear console and a new range of colors. Joining the CTS-V will be the 2018 ATS-V, with its track-honed design, chassis and suspension elements which complement the car’s 3.6L V6 twin-turbocharged powertrain to provide true track capability, performance and driver control without modifications or special procedures. New for 2018, an advanced next-generation Cadillac user experience with embedded navigation is now available. Speaking at the show, Christian Soemmer, Managing Director of Cadillac Middle East, commented: “With new models hitting the market and new facilities set to open in the near future, now is an extremely exciting time for Cadillac and its customers across the Middle East.